OWATONNA, Minn., March 29, 2018 - Southern Minnesota Initiative Foundation (SMIF), in partnership with the FEAST! Local Food Network, is accepting applications for the new FEAST! Smart Start Grant program. Up to four applicants will receive a total of up to $10,000 each to support individual farm and food entrepreneurs in their community through a defined, structured technical assistance and customized coaching process. The local food business landscape is vast and includes small-scale farms, grocers, cafés, restaurants, wineries, caterers and other businesses that feature local food on their shelves or menus. 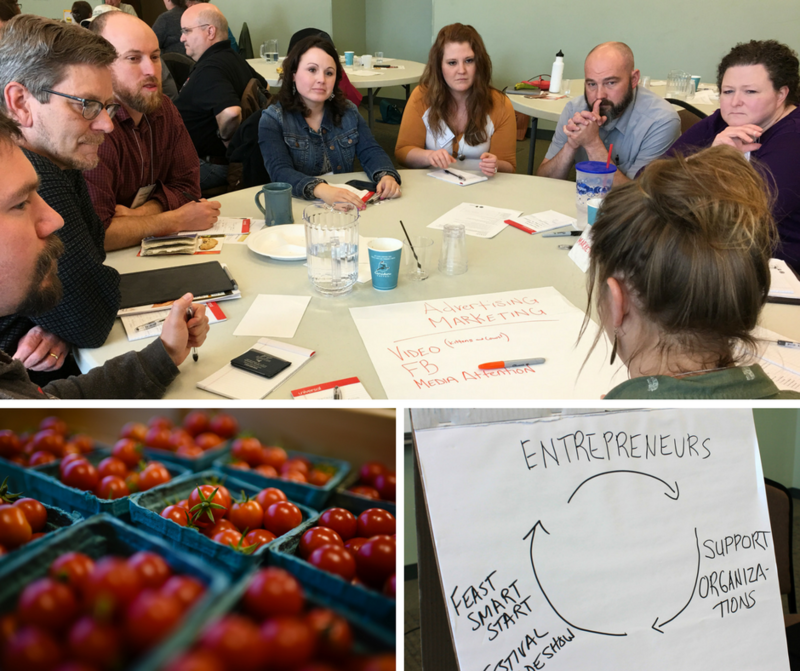 SMIF has created this special grant opportunity to support these entrepreneurs in order to create a sustainable and resilient food economy for southern Minnesota. The FEAST! Smart Start Initiative was piloted in 2017 with a cohort of 15 businesses, including Grandma’s Gourmets in Albert Lea, Curly Girlz Candy in Owatonna, and Stagecoach Brewing Company in Mantorville. These entrepreneurs were supported in building new networks with food producers in the region, and in developing skills to grow their business. After the success of the pilot program, originally funded by the Minnesota Department of Agriculture and in partnership with Renewing the Countryside, a toolkit was developed so that this program could be easily replicated in other communities. Award recipients will use the FEAST! Smart Start toolkit as a guide to implementation. Selected communities will have 12 months to launch key elements, including the selection of up to five food and/or farm companies. These companies will then have access to executive trainings, regular coaching, and a peer network. Organizations located in SMIF’s 20-county region with a strong interest in growing the food economy are encouraged to apply. Applications are due to SMIF by May 15, 2018. Awards will be announced in June. The FEAST! Local Food Network is a collaborative network across Minnesota, Iowa and Wisconsin of local food advocates. The FEAST! Network organizes the annual FEAST! Local Foods Marketplace. The network was created to support local food producers and foodmakers by boosting access to financing, resources and peer-to-peer learning opportunities.